"Social norms are changing, I understand that, and I've heard what these women are saying," the 76-year-old Joe Biden said in a message on his Twitter account. Former vice president Joe Biden, who is mulling a White House run, said Wednesday after coming under fire over his physical contact with women that he will be "more mindful" in the future about respecting personal space. "Social norms are changing, I understand that, and I've heard what these women are saying," the 76-year-old Biden said in a message on his Twitter account. "Politics to me has always been about making connections, but I will be more mindful about respecting personal space in the future," he said. "That's my responsibility and I will meet it," said Biden, who is considering whether to seek the Democratic presidential nomination in 2020. Two women have gone public in the past week with claims that Biden inappropriately touched them years ago. "It wasn't sexual, but he did grab me by the head," Amy Lappos told Connecticut's Hartford Courant newspaper about an incident at a 2009 political fundraiser. Former Nevada state lawmaker Lucy Flores said she was "mortified" when Biden planted a "big, slow kiss" on the back of her head as she waited to take the stage at a campaign rally five years ago. Biden, in a video which accompanied his Twitter message, said that in his long political career he has "always tried to make a human connection. "That's my responsibility, I think - I shake hands, I hug people," he said. "Whether they're women, men, young, old, it's the way I've always been, it's the way I've tried to show I care about them and I'm listening," he said. Biden added that he "gets" that the "boundaries of protecting personal space have been reset." "I get it," he said. "I hear what they're saying. I understand it. And I'll be much more mindful. "That's my responsibility and I'll meet it." 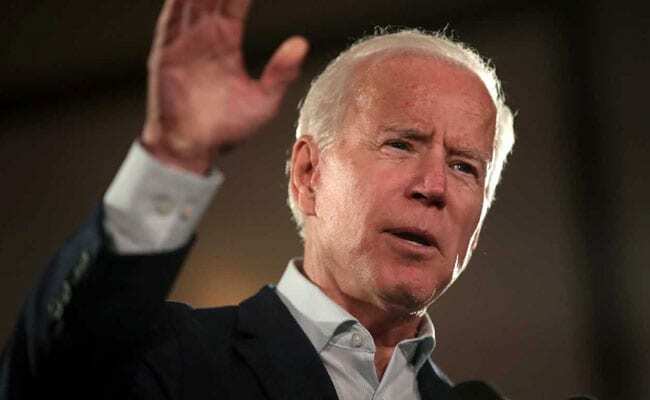 Biden has yet to declare his candidacy, but he is already the early favorite to win the Democratic nomination and challenge Donald Trump in next year's election.